Golf is a sport of strategy and leisure. It is also hugely popular in Australia and New Zealand. You’ll find a plethora of courses, and a good number of Championship courses throughout. From the beginner to the aspiring professional, you’ll find a course that will keep you on your toes and enjoying every minute of it, surrounded by gorgeous views. Below is a list of the best golf courses you’ll find in Australia and New Zealand. 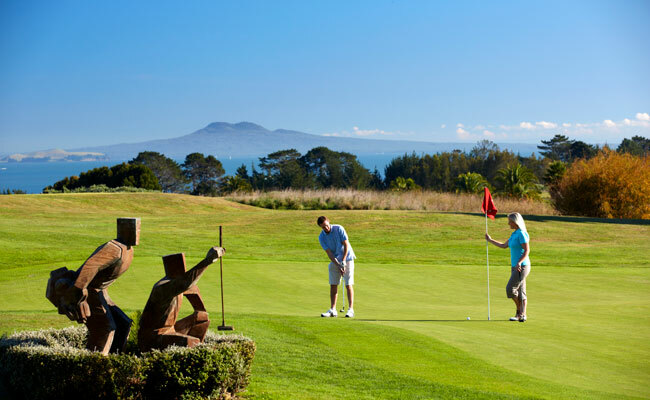 • Formosa Country Club: A hidden gem in Auckland, situated on the beautiful Pohutukawa coast and only 38 minute drive from the center of the city. Here you’ll find panoramic sea views stretching out over the Hauraki Gulf. • Gulf Harbour Golf Club: The only course in New Zealand designed by the acclaimed American designer Robert Trent Jones Jr. Gulf Harbour boasts 6400 meter, par 72 golf course located on the Whangaparaoa Peninsula just north of Auckland. With a natural feel from start to finish, the course meanders through native grasses, and vegetation. There are four sets of tees, assuring that every player, from beginner to professional will enjoy their game and be challenged with exciting holes offering risk and reward. The last four holes may leave you a bit faint of heart, with 160 meter 15th as a par 3 toward the ocean, and water as the a back drop, not to worry you’re not alone. • Muriwai: Located about 25 miles north west of downtown Auckland, Muriwai is the region’s only authentic links course. Muriwai Beach is one of Auckland’s most popular wet coast beaches, the golf course is routed close to the shoreline, which adjoins the Muriwai Regional Park and a gannet colony perched on the cliff top at Otakamiro Point. Routed among dunes, heather and pines, you’ll find yourself in aw of the breathtaking views of the Tasman Sea, no matter which hole you’re on. • Wairakei International Golf Club: Sprawling over 180 hectares within Wairakei Geothermal Park, Wairakei International Golf Club is just 10 kilometres north of New Zealand’s largest lake, Lake Taupo. Skirting the edges of active geothermal fields, this course was designed using the volcanic contours to sculpt fairways, elevate tees and greens and bury hazards within the natural landscape. With superheated steam rising through the forest and the sound of Huka Falls roaring in the distance, you may think you’ve stumbled into a dream. 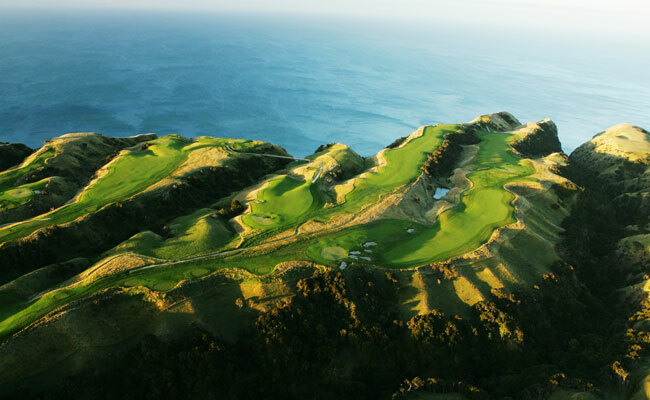 • Cape Kidnappers: Designed by legendary golf architect Tom Doak, the Cape Kidnappers par 71 golf course measures 7,119 yards and will challenge every golfer, no matter your skill level. Located on 6,000 rolling acres of stunning pastureland in Hawke’s Bay, the Farm at Cape Kidnappers offers you 180-degree views of the Pacific Ocean and luxury accommodation. 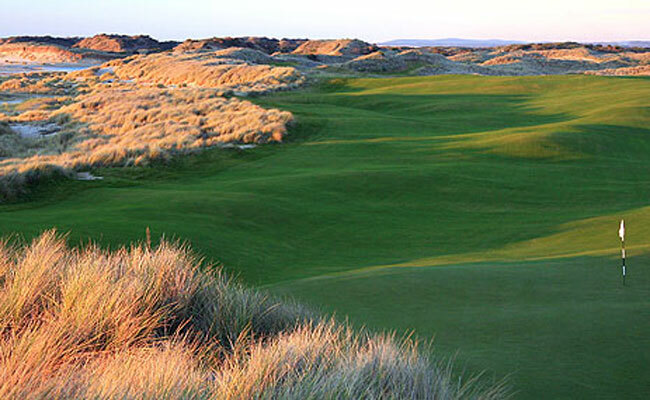 • Barnbougle Dunes: Barnbougle’s original course, and is like no other Links golf course in Australia. Meandering along Tasmania’s North East Coast, Barnbougle Dunes is where thrilling golf and gorgeous scenery meet. Acclaimed US designer Tom Doak and Australian Mike Clayton, designed this course with influence from the traditional links courses of Scotland and Ireland. Here it is a game of strategy, each shot must be tactically thought through, with a little creative pizzaz. • Barnbougle Lost Farms: Sitting adjacent to The Dunes, this 20 hole Links golf course is located on Tasmania’s North East coast. Barnbougle Lost Famrs was designed and built by world-renowned US golf course design company Coore & Crensha, and has captured the attention of international golfers of all skill levels. With a minimalistic course design, there is an emphasis on the philosophy that traditional, strategic golf yields the most rewards. • Royal Melbourne Golf Club: Royal Melbourne has two courses, the East Course and the West course. Each are ranked amongst the best in the world. The Royal Melbourne has hosted loads of national and international events and the only golf club, outside of the US, to be selected by the PGA tour to host the Presidents cup more than once. 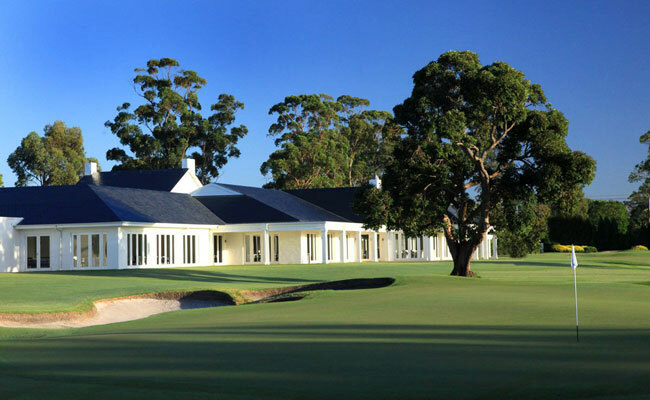 • Kingston Heath: One of Australia’s best golf courses and internationally ranked at 20 in the world, Kingston Heath is an 18 hole course, built on only 125 hectares. Manicured immaculately, its bunkering and use of dips and hollows will fool you if you’re not on your game! Deviate from the fairway, and find yourself amongst the rough in long grass and sandy scrapes, testing your patience and your ability to get back into play. • New South Wales Golf Club: One of the most sensational golf courses in all of Australia, the New South Wales Golf Club boasts breathtaking panoramic views and the toughest and most testing holes in the country. The entire course offers tremendous views and an amazing series of holes that have been built around, over and through the hills and valleys toward the gorgeous coastline. After a memorable day on the course, find yourself in the luxury of the clubhouse, where you can celebrate the day’s game and relax in style. Ready to begin planning your own golf outing to New Zealand or Australia? Browse our custom New Zealand and Australian vacation packages, or gives us a call at 888-367-0933 and we would love to help you start planning your adventure of a lifetime!